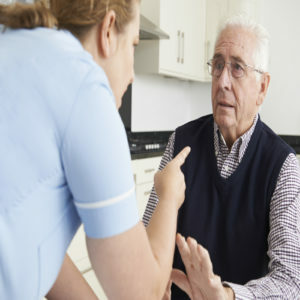 The World Health Organisation’s definition of elder abuse is any “single or repeated act, or lack of appropriate action, occurring within any relationship where there is an expectation of trust which causes harm or distress to an older person.” Australia recognises commonly used versions of this definition and that abuse may be physical, sexual, financial, psychological and / or social, including neglect. Australia has a population of around 3.7 million people aged over 65, around 15 percent of the overall population. This figure is expected to rise to 23 percent by 2055. Overseas studies have found that two to eight percent of people aged over 65 experience a form of abuse in any one year. In Australia it is estimated that up to 185,000 Australians experience some form of abuse or neglect annually. In 2016 the Australian Government committed $15 million to implement a plan to protect the rights of older Australians which includes the development of an Elder Abuse Knowledge Hub as well as targeted research into the nature and prevalence of elder abuse in Australia. An additional $22 million of funding over a four-year period was committed in 2018/19 as part of the More Choices for a Longer Life package. Funding will allow for more frontline support to supper older people seeking help. Last week, the National Plan to Respond to the Abuse of Older Australians (Elder Abuse) was launched. The framework of the plan focuses on five key areas to understand, educate, support, prevent, and safeguard against elder abuse. It includes measures for improving community awareness and access to information, as well as strengthening the response of frontline services. The funding will also support specialist elder abuse units, health-justice partnerships, case management, plus family counselling and mediation services. Such services are generally available to persons aged 65 and over, and for Indigenous Australians aged 50 and over. In order to better understand the prevalence and impact of elder abuse in Australia, a national research program will undertake a survey of older people to collect data on personal experiences of elder abuse. A general community survey will also be conducted to determine societal attitude and behaviours that enable or permit abuse of elders. As part of the plan, a free nationwide hotline has been established which provides information and referrals. The hotline allows for callers from anywhere in Australia to connect with phone services in their state or territory and discuss potential or actual elder abuse. The free call number is 1800 ELDERHelp (1800 353 374).